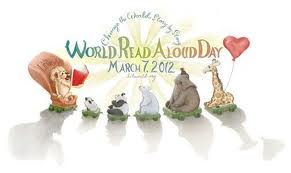 Today is World Read Aloud Day, sponsored by LitWorld. Since the last time that I posted about LitWorld, I've learned the Kwame Alexander was their Poet Laureate! Kwame will be visiting West Babylon again this spring, and I'm hoping to get a chance to see him, or at least have the class he visits write a guest post.